A customer’s experience is the most influential online marketing tool you control yourself and for the most part, a customer’s experience is virtually free unless of course that experience is negative where is can be associated with a potential large loss in business, reputation, and valuable management time. Increasing your engagement opportunity within social conversations is going to be an essential part of your business’s online survival. A single complaint on your social media forum can be quite damaging to a small to medium sized company but what if that complaint was submitted in a blog you didn’t know about – on a competitor’s social page or in a public forum? How often do you respond to comments and/or complaints posted to social media? Do you search social media daily for your company’s name in public posts? The general thought is you should respond to an online customer compliant within 1 hour. 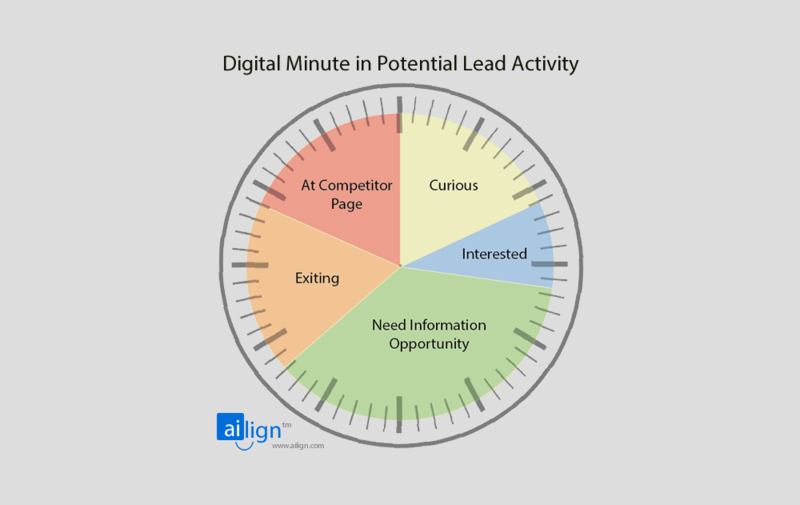 You should respond to an online lead inquiry within a minute, but most likely they will already be on a competitor’s page by then. The average online business replies to less than 2% of social input from clients and social site visitors. 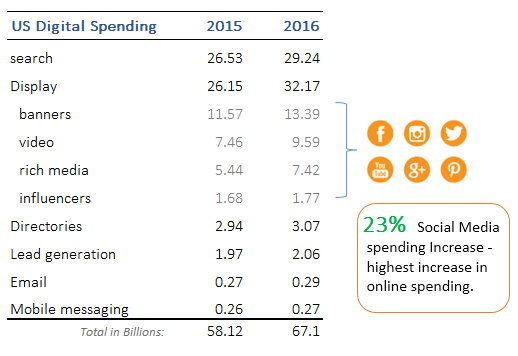 Adweek estimates 70% of companies will invest more in 2016 on online marketing with a majority of marketing dollars shifting to social media. It’s obvious in a connected world that online marketing plays an essential role in the health of our businesses. Unfortunately, a majority of online marketing is passive and simply waiting for the phone to ring, after you just paid out a large portion of your profit, can be quite frustrating. For some, mostly large brands, passive online marketing works but the online audience is anything but passive. There are about a billion real conversations taking place everyday about real experiences. Sometimes those experiences have an impact on your brand. What if you could listen to all those conversations and engage to tell your story turning conversations into customers. Your response time on your own social page is of high importance but it’s also important to listen and respond to many social pages within your market. Consumers use social media as a resource to share experiences about products and services. If a company doesn’t have the resources to manage consumer needs for information and resources online consumers will resort to seeking out the fulfillment of their needs from your competitors while venting their negative experiences within social venues. This is compounded by the limited time you have to engage a potential or existing client while they are having a conversation about your product. The engagement rate of a passive online marketing campaign is approximately .04%. When you engage within conversations that are specific to your product/service and/or brand the response rate increases to 50% and the close or click through rate increases to over 20%. That’s a substantial improvement with a simple investment in listening for an online audience opposed to trying to create one. Benefits of listening are primarily in crash prevention of your brand. 90% of online posted negative content can be avoided by simple engagement at the time of the post. Less than 1% of the online audience submitted negative brand assessments in 2010, it’s estimated in 2015 that over 80% of that same audience will submit a negative brand assessment in a social forum. When a company responds to a post it’s typically hours if not days thereafter. Hiring team members or outsourcing to just monitor social pages is expensive and often difficult to quantify in a ROI especially when associated with brand relationship building. As all technology around us is evolving rapidly ai is on the horizon and moving fast towards being a common tool in helping us manage our business and personal lives. ai is a data mining application whereas it seeks out large pools of data for assessment, analysis, and interpretation making ai, at its core, a powerful tool in online listening. Knowing your brand is specific to a market ai monitors millions of conversations across multiple open public social channels, including your own online digital channels. When a conversation is detected fitting specific parameters the ai engine reaches out to make a connection by responding directly and being relative to the discussed topic. ai cannot detect the emotional state of a conversation. Humans are more likely to escalate an emotional conversation in the wrong direction. Emotions + emotions often does not equal a good outcome. ai can seek out specific phrases and use of content in context with the conversation to create responses tailored specific to the business policy. Like any program templates and rules can be modified to fit a wide variety of potential outcomes. ai is offensive to some. We have reluctantly become accustomed to speaking with machines in customer service phone calls. Though speech recognition has dramatically improved in the past few years – it still has a way to go. Whereas online conversations don’t require speech interpretation, conversations are seamless and in most cases it’s completely unknown we’re having an ai conversation. Additionally, ai online is an acceptable information tool and typically used as a conversation starter opposed to a sales closer. ai is a data mining application whereas it seeks out large pools of data for assessment, analysis, and interpretation making ai, at its core, a powerful tool in online listening. Introducing ailign, a cloud response ai for social engagement. Response automation is the best tool for online customer service. With automation you can reply to 100% and be specific to each type of inquiry from general customer service to closing the sale.